A model for the in-plane dynamic behaviour of a biconcave cable structure, subject to large static deformations and potentially slack harnesses is proposed, based on polynomial shape functions, in line with the classical Ritz method. The model provides a semi-analytical approach to the calculation of natural frequencies and modal shapes of the structure. The proposed formulation leads to an eigenvalue problem, based on a reduced number of degrees of freedom compared with equivalent FEM solutions, providing the basis for fast and accurate sensitivity analysis. The behaviour of the deformed structure is analysed in detail to understand the non-linear effects of non-symmetric mass and load distribution and slack harnesses on natural frequencies and corresponding modal shapes. 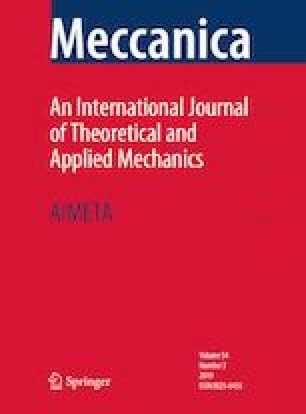 Results confirm the relevance of the non-linear effects, due to the statically loaded configuration, on the linear vibrations of the structure, in particular evidencing the influence of the slackening of harnesses on modal shapes. Results are compared to analytical models, where available (single sagged cable), and to FEM solutions (for cable trusses with non-uniform mass and load distribution and potentially slack harnesses), providing good agreement.